I feel the most important aspect of photography, is making sure that we capture the personality of individuals, and the bond between family members. Whether it's Nan and Grandad's 40th wedding anniversary, your mum's 80th birthday, your son's 18th, a newborn baby, a school photograph or just a brilliant excuse to have another annual photoshoot to capture that next little stage of your children's journey through life, it really is a fantastic experience. Your stunning images will be edited into a mixture of both colour and black and white. All images will be uploaded onto your own password protected gallery within my website. You'll also receive a USB containing all of the high resolution images, allowing you to print to your hearts content. Set in stunning gardens, a perfect backdrop for both children and adults to feel totally relaxed and at ease. 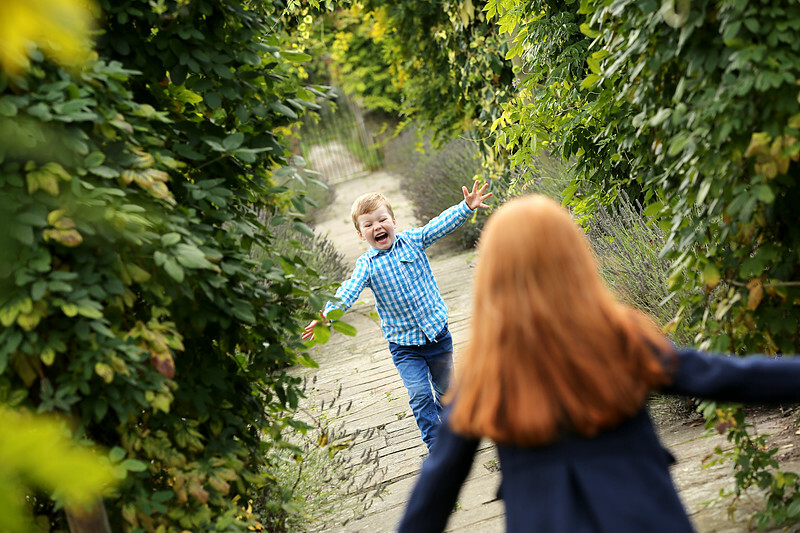 No stress of trying to get children to sit down within a confined space, it's a time to have some brilliant fun, breathe in the fresh air, get up close with the seasonal colours, climbing trees and just being amongst the beauty that is nature. I'm able to bring a backdrop to your home to achieve the funky studio style image. Travel included for up to 3 miles from Warlingham, there after mileage added on. Taken within the 1st few most precious weeks of their tiny little lives, we spend approximately 2-3 hours creating the most adorable images of the very early days of your little ones lives. Using a range of props and backdrops. You are welcome to bring siblings to this shoot too, so that we can achieve a beautiful family image. Gift Certificates available in denominations of £25, £50, & £100 or for the entire photoshoot.